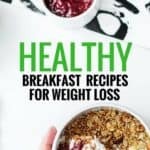 If you’ve been on the keto diet for a while you may be thinking to yourself, are there any delicious keto air fryer recipes that are healthy and delicious. We all know that the keto diet favors high-fat food. However, sometimes, it is possible to eat too much fat on the keto diet which in turn, can affect how much weight you lose. This is why these keto air fryer recipes are so awesome. Making them can help you to cut out some fat from your diet so you no longer have to worry about eating too much fat again. 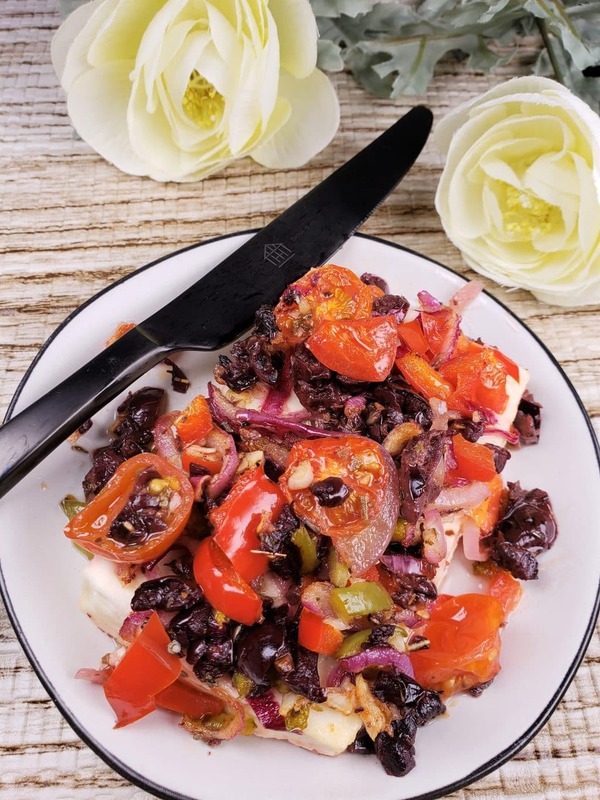 In this list, you’ll find over 15 low carb air fryer recipe ideas that you are sure to enjoy. After all, who doesn’t like keto friendly foods that taste great and have just the right amount of fat? An air fryer is an appliance that has gotten really popular because it promises to give you foods that are not fried but taste like they are. Basically the answer to so many people’s prayers. The air fryer works by cooking food in a small convection oven that gets really how with a lot so air flow so that it cooks your food in a dryer environment and makes your food crispy. You can use an air fryer to cook so many things including this list delicious keto air fryer recipes below. An air fryer requires little to no oil to prepare your dishes. Therefore, you can cut out some fat as well as calories from some of your meals, but still get the crispy end product you would expect from fried foods. Air fryers cook food using rapid air circulation which ensures that your food is cooked quickly and evenly. Air frying foods is very easy and this method of cooking can be used for just about anything including roasting, baking, sautéing, and grilling snacks, meals, and desserts. If you don’t have an air fryer as yet, you can use the links below to get a great air fryer as well as all the accessories you need to make your favorite keto air fryer recipes. 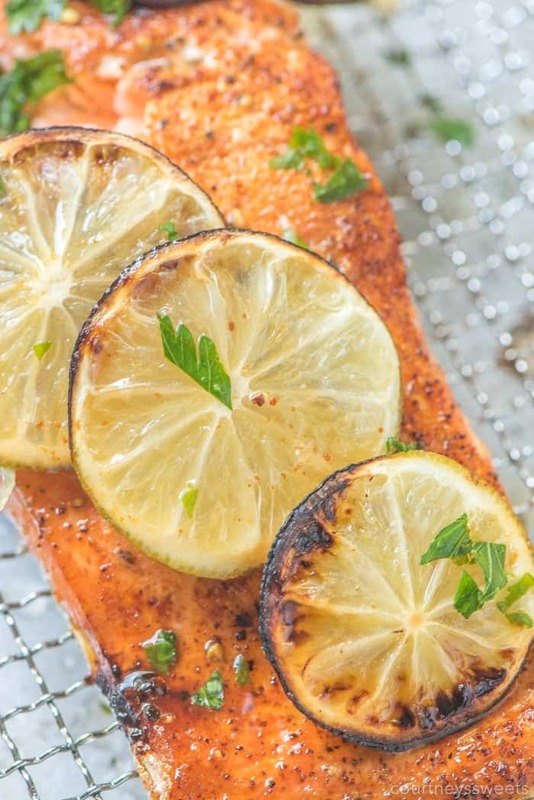 Have you ever tried air fryer salmon on the keto diet? If you have not, you should give this easy and delicious recipe a try as soon as possible. Not only is this meal healthy, and tasty, it is also something that you can serve your family multiple times a week for dinners. 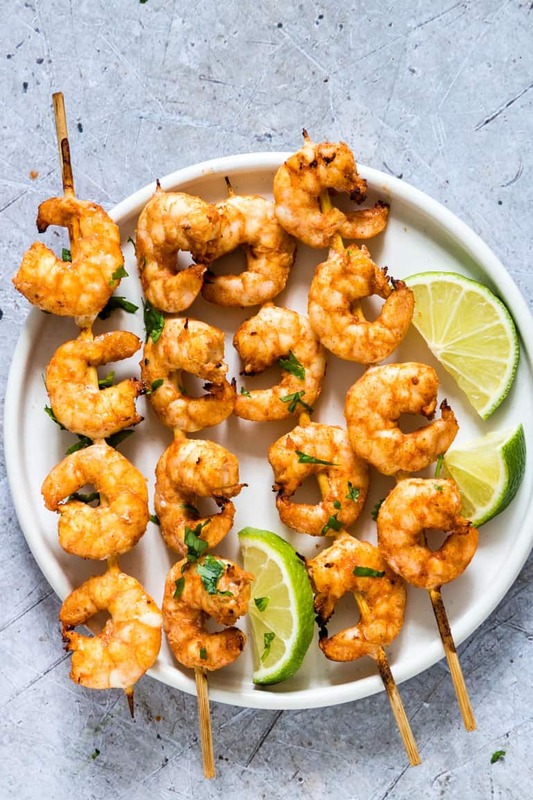 These Cilantro Lime Air Fryer Shrimp Skewers are the perfect healthy appetizer to make in your air fryer. Cooked in the air fryer with no oil, these shrimp skewers are suitable for keto and low-carb diets and taste so good! 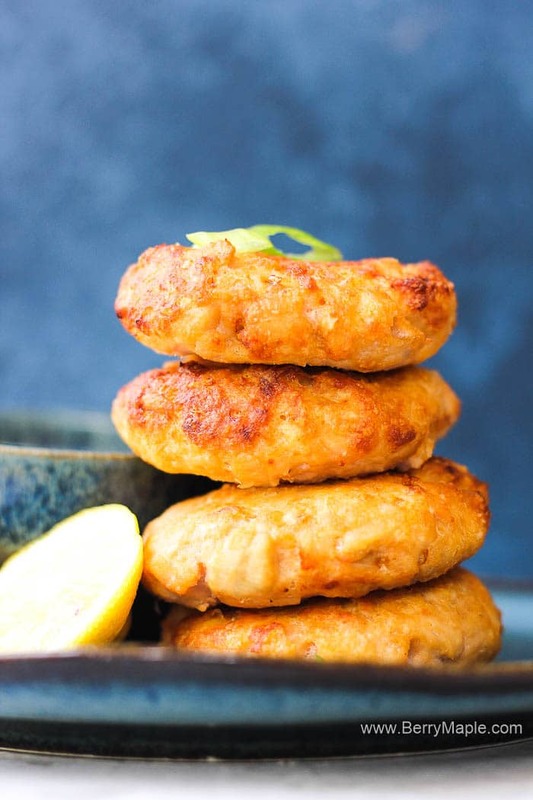 Try these delicious and healthy air fryer salmon cakes that are Keto and easy to make. 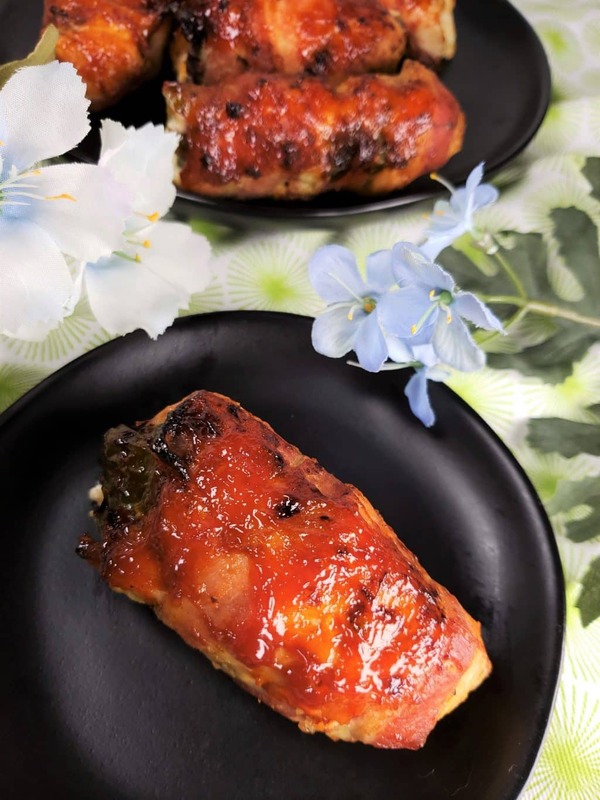 You can make these salmon patties from frozen and from fresh salmon fish fillets and serve them to your family. Everyone will really enjoy these. Did you know that you could make bacon in an air fryer? Well, you sure can! 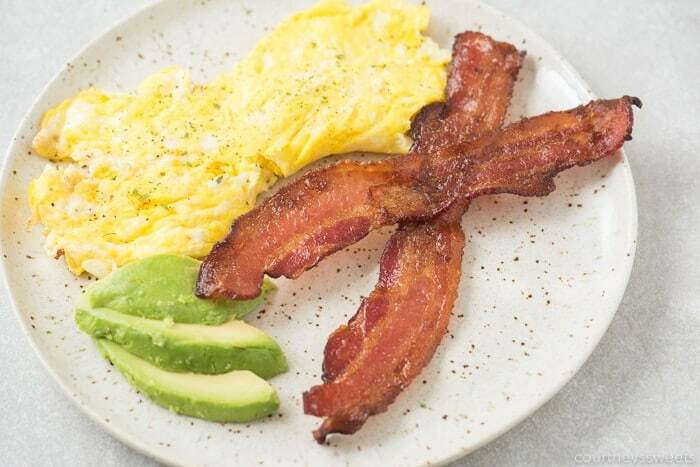 Try out this crispy air fryer bacon recipe for a delicious keto breakfast in minutes. 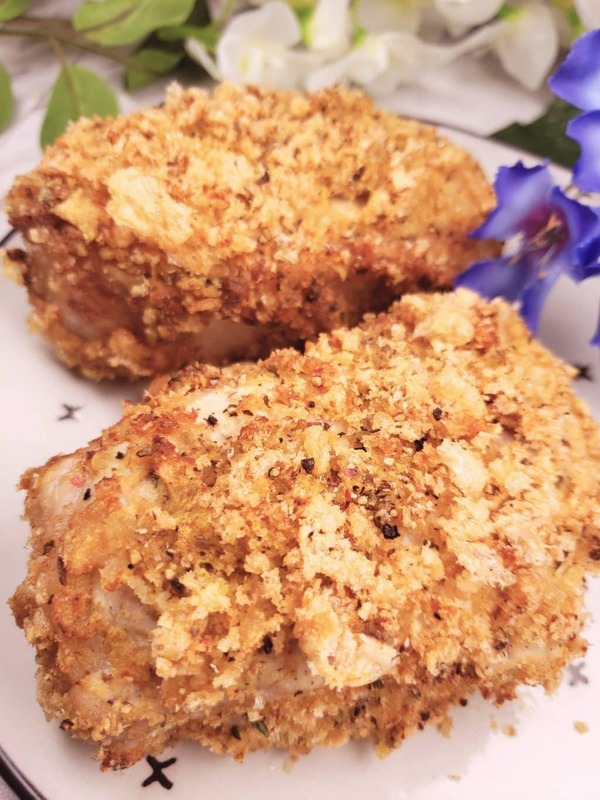 This super low carb breaded pork chops recipe is juicy and flavorful and something you will want to make over an over again. The best part is these are made in air fryer so they’re easy to make, will come out perfectly cooked and with fewer calories. you can’t go wrong with these. Made with only a handful of ingredients this recipe is the perfect tasty appetizer to serve. It’s simple to make and easy to make as well. 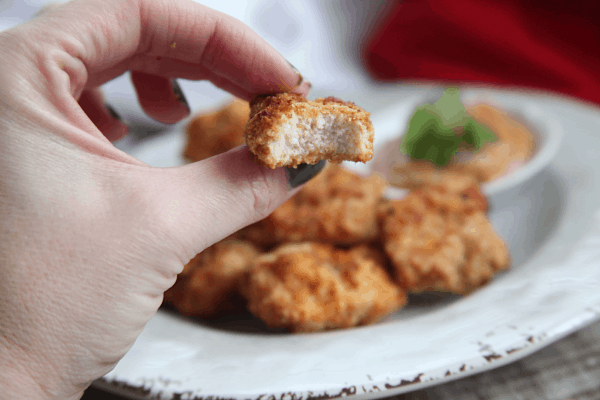 These air fryer chicken nuggets are crispy and taste so good. You can use your air fryer to make these quick and easy and enjoy a nice tasting keto treat. 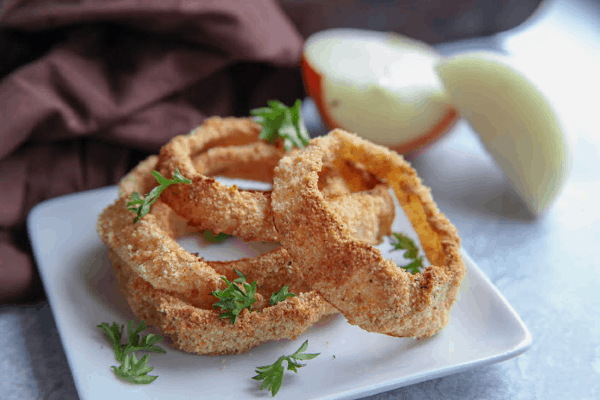 These air fryer onion rings are a crispy way to eat onion rings with no breadcrumbs. Made with almond flour, flax seed and seasonings, they are a great addition to your keto menu. 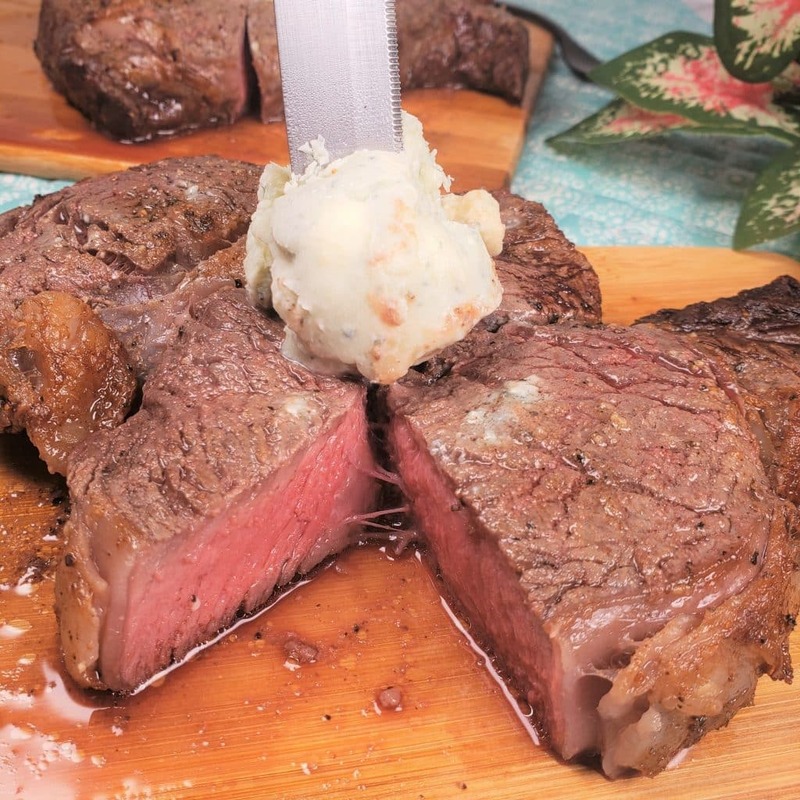 You need to make this Air Fryer Rib Eye Steak with Blue Cheese Butter for the perfect dinner recipe. These will be cooked to perfection every single time. These Air Fryer Pork Chops are so juicy, you’ll think they came right off the grill! These make a healthy keto meal when you want something quick that tastes good. 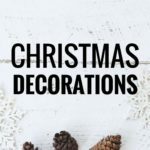 Are you looking for some healthy keto friendly ideas? 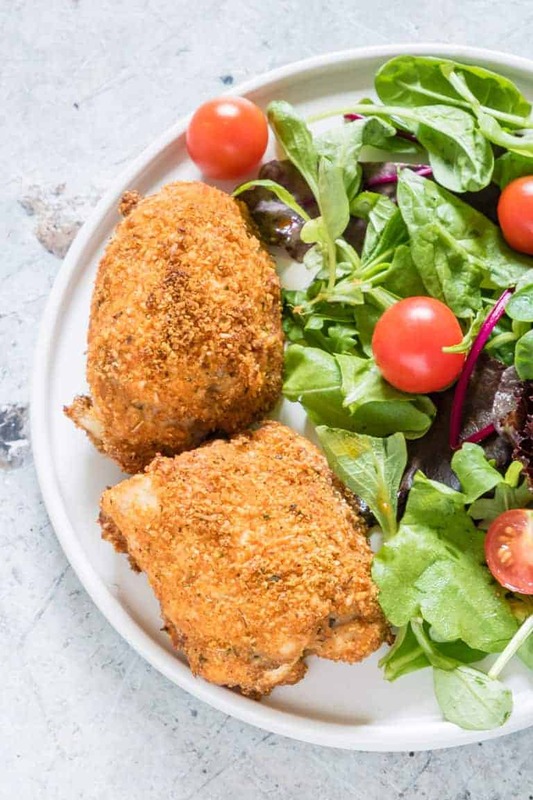 These air fryer chicken thighs are exactly what you need. They’re healthy and flavorful, plus they’re a great spin on your normal chicken thighs recipes. 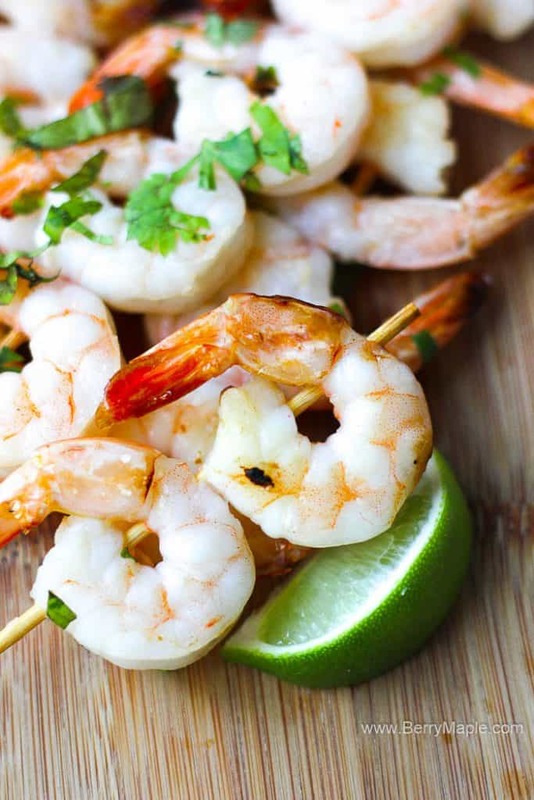 Looking for an easy and flavorful shrimp recipe you can make in your air fryer? You will be glad you found this keto recipe that uses lime and garlic for the most amazing flavors. These Air Fryer Bacon Wrapped Chicken Jalapeño Poppers with a Korean BBQ Sauce makes a great keto meal or appetizer. Try these out on a day when you want something tasty and different. No matter how much weight you want to lose, you can make it happen. However, as with everything else, you need to always try to find healthier options so that you can improve your health as well. Losing will make you feel great about your self, feel more confident in what you wear. it may even make you happier. All of this can start right now. 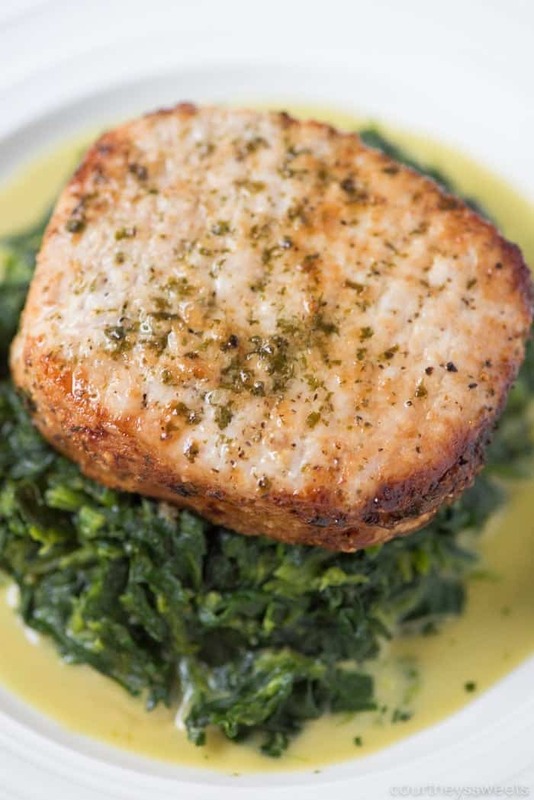 Just make a choice to eat better and enjoy more recipes that contain less fat (because yes, you can eat too much fat on the keto diet and it can stall your weight loss big time) even though you’re following the keto diet and you will see the great results you’ve always imaged become a reality. 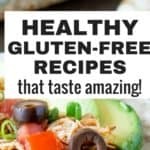 These keto air fryer recipes are a great start!